℗ 2010 Deutsche Grammophon GmbH, Berlin under exclusive license to Universal Music Classics, a Division of UMG Recordings, Inc.
No.1 In D-Flat Major "Minute Waltz"
No.1 In A-Flat Major "Farewell Waltz"
"Impressive playing, well turned, light-fingered and with lovely tone and musicality." "Four Stars ... an artist of talent and requisite brio for these scintillating salon pieces." "... just out of her teens, she leaves you to marvel at her instinct for Chopin's poetic ambiguity, his alternating melancholy and exuberance, his ultra-Slavonic hope and despair, her playing backed by the sheen of an immaculate technique and pianism." 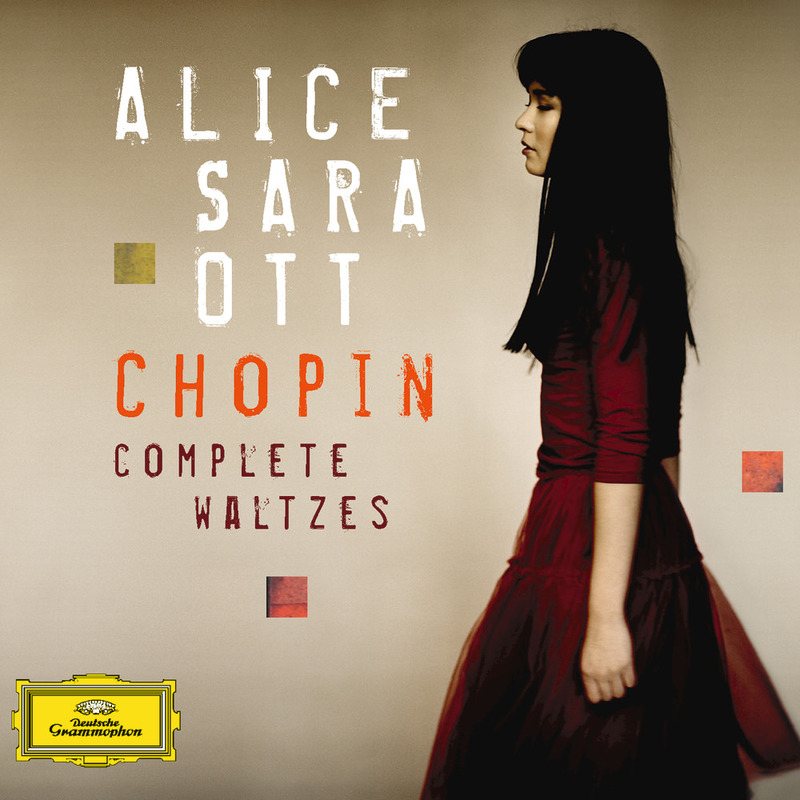 Young German-Japanese piano virtuoso Alice Sara Ott celebrated the 200th anniversary of Chopin's birth with this award-winning 2010 release, only her second album, recorded when she was just 19. For this recital, Ott has chosen to play from the autograph manuscripts, regarding them as truer than some of the published versions are to the essentially sombre spirit of this music. "I feel a deep attachment to Chopin’s waltzes. They reflect the whole arc of his composing life and they also reflect his split personality, between Polish and French and his lifelong search for identity. I feel split in a similar way, between Japanese and German. Only in music do I feel completely at home."